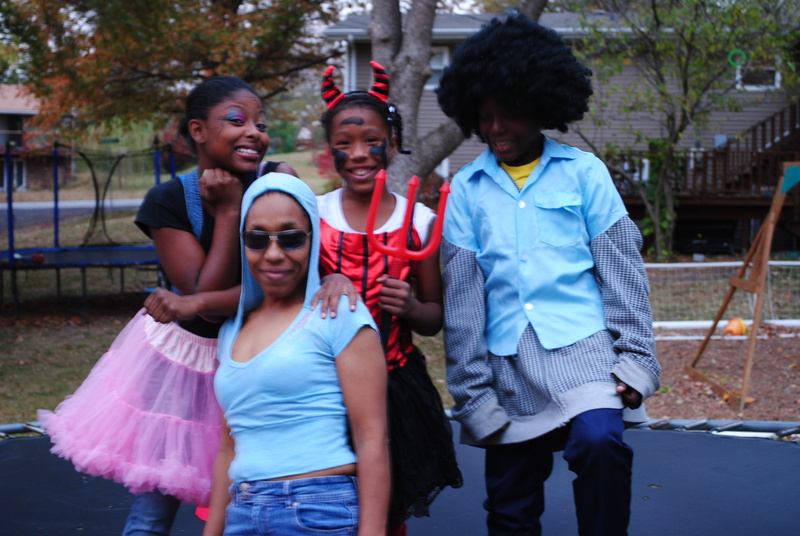 DeJonna Powell, 13, dressed as an ’80s girl; Medea Powell, 40, dressed as a 16-year-old; Madajah Turner, 9, dressed as a devil; and Xavier Powell, 12, dressed as an ’80s cop. The four posed on their front yard trampoline before heading out to trick or treat. 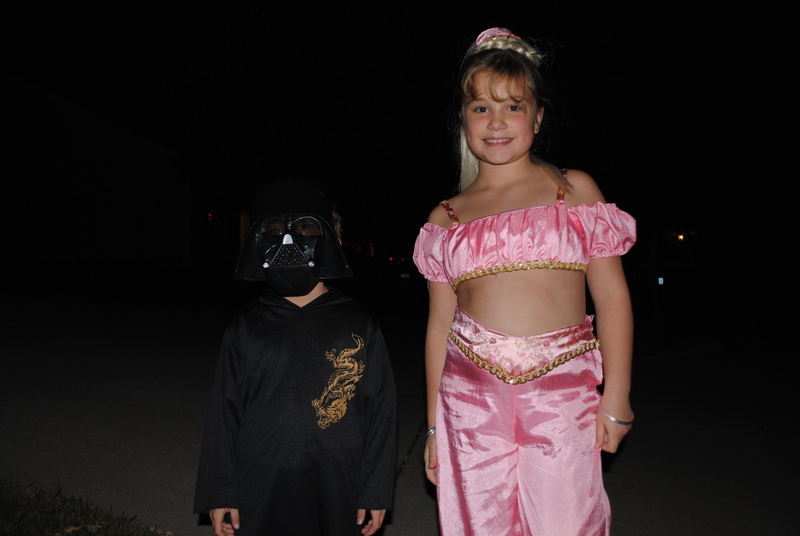 The Noffke family shows off their costumes before taking their children trick-or-treating. 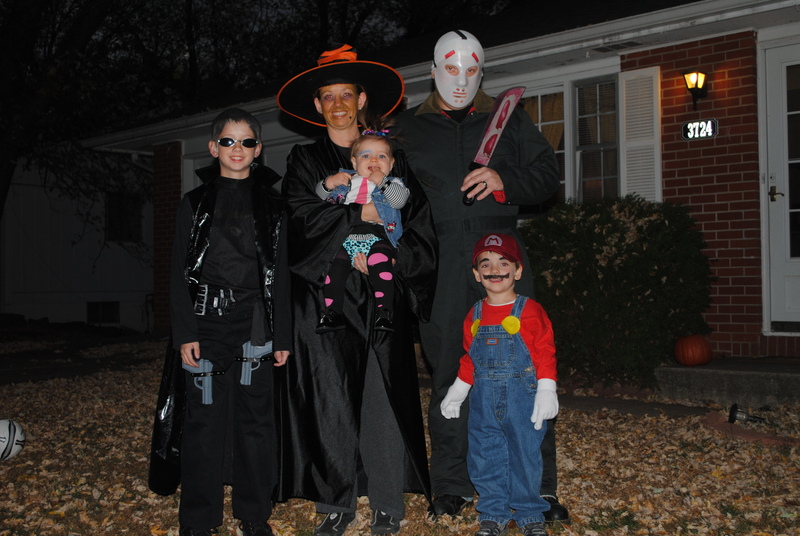 Ryan and Carli are parents to Joel, 11, as Neo from The Matrix; Ella, 9 months, as a punk rocker; and Keller, 3, as video game character Mario. 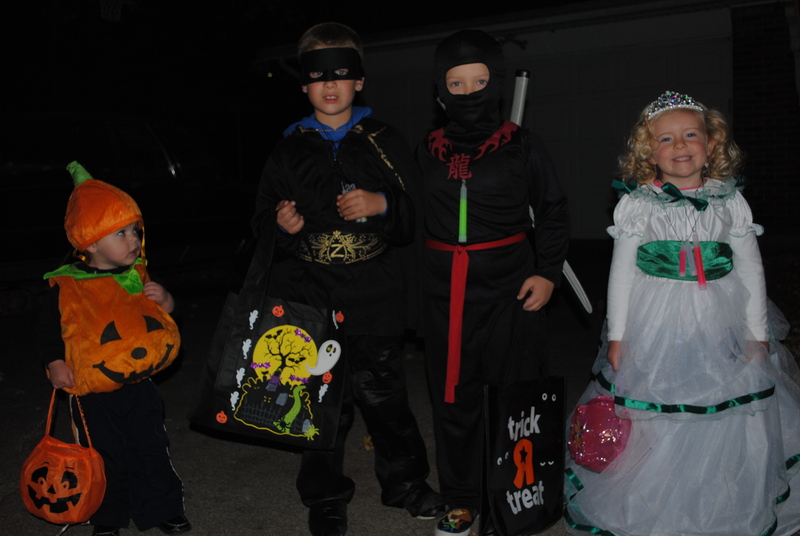 Daylinn Bley-Taylor, 2, a pumpkin, admires the costumes of ninja Jesse Kite, 5; Colton Kite, 7, as Zorro; and princess Lauren Mowrey, 5. Ready, aim, fire! 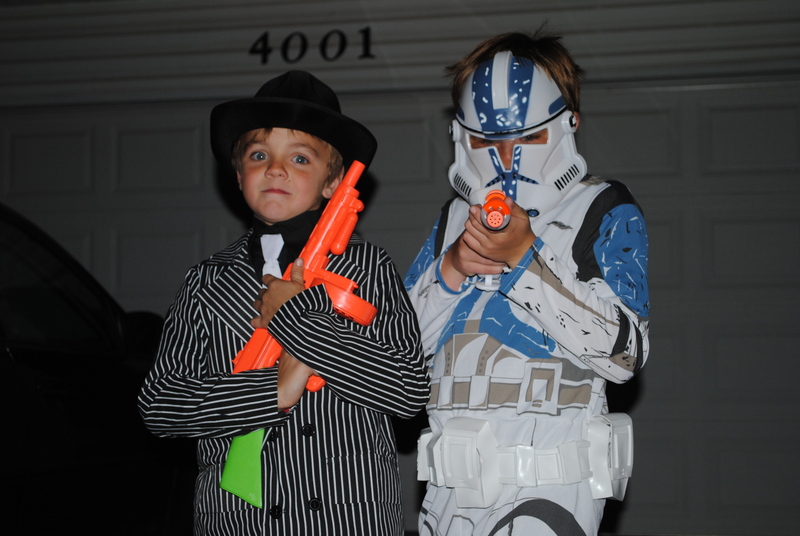 Gangster Brayden Flatt, 8, poses with Stormtrooper Conner Flatt, 10. 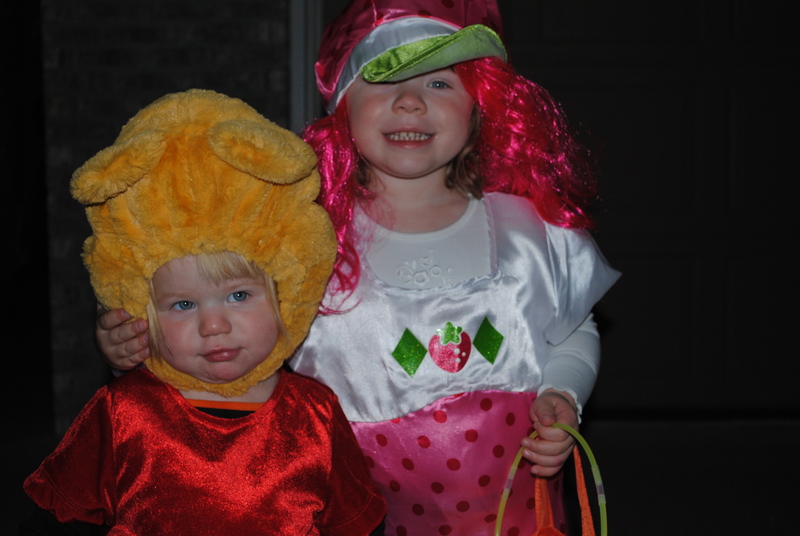 Abby Schmidt, 3, as cartoon character Strawberry Shortcake with Megan Schmidt, 1, dressed as Winnie the Pooh. 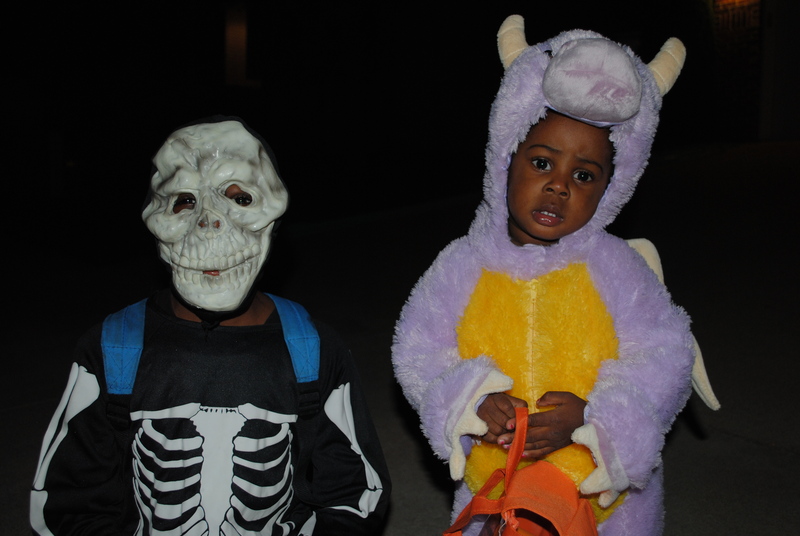 Bryton Allen, 7, in his skeleton costume with dragon Brayanna Allen, 2. 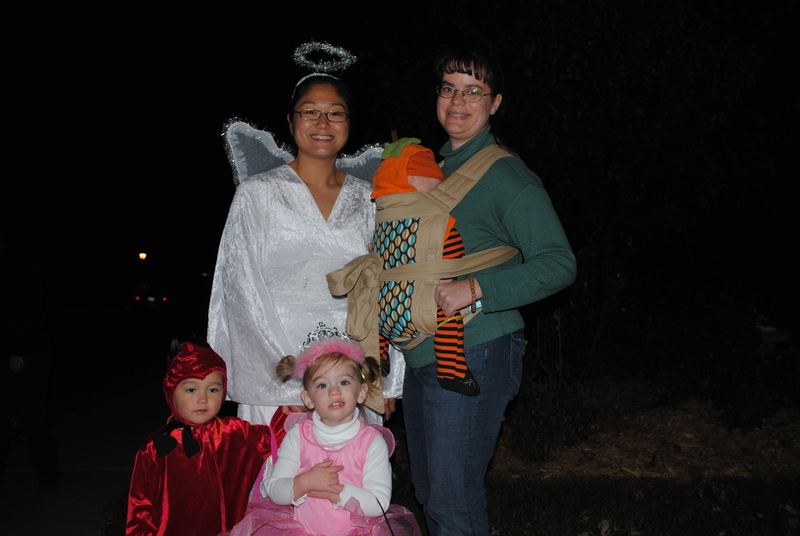 Susie Draper dressed as an angel, and her son, Josie, 2, came as the devil. Zoe Draper, 2, dressed as a princess fairy, and Julia Draper holds 6-month-old pumpkin Anthony.